**NOTE: the larger hexagon charm is pictured in photos 6 and 7 to show size comparison. This listing does not include that charm! 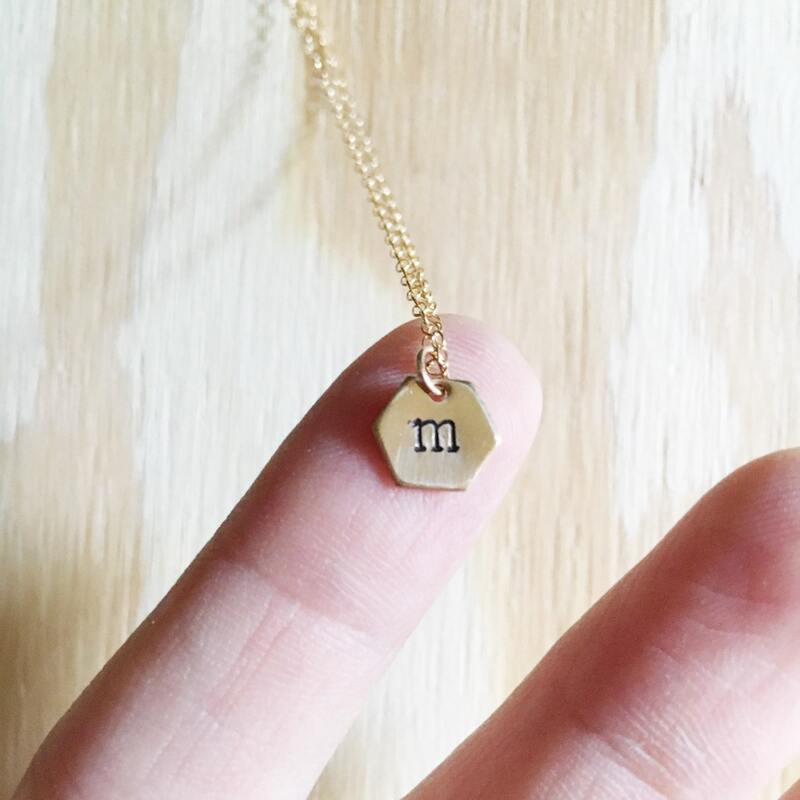 M a t e r i a l s - (charm, chain, lobster clasp, and jump rings) are raw cut brass. The chain is dainty but strong. The charm is 9mm wide. For cleaning tips, visit my shop policies. 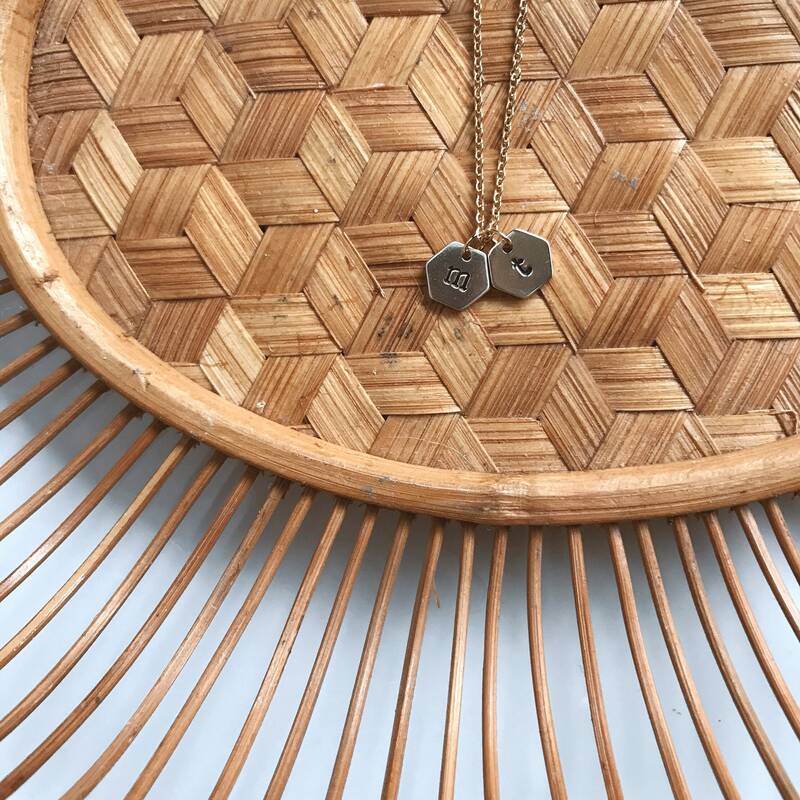 G i f t i n g - All necklaces come in a gift bag with the Geo Supply Co. logo. 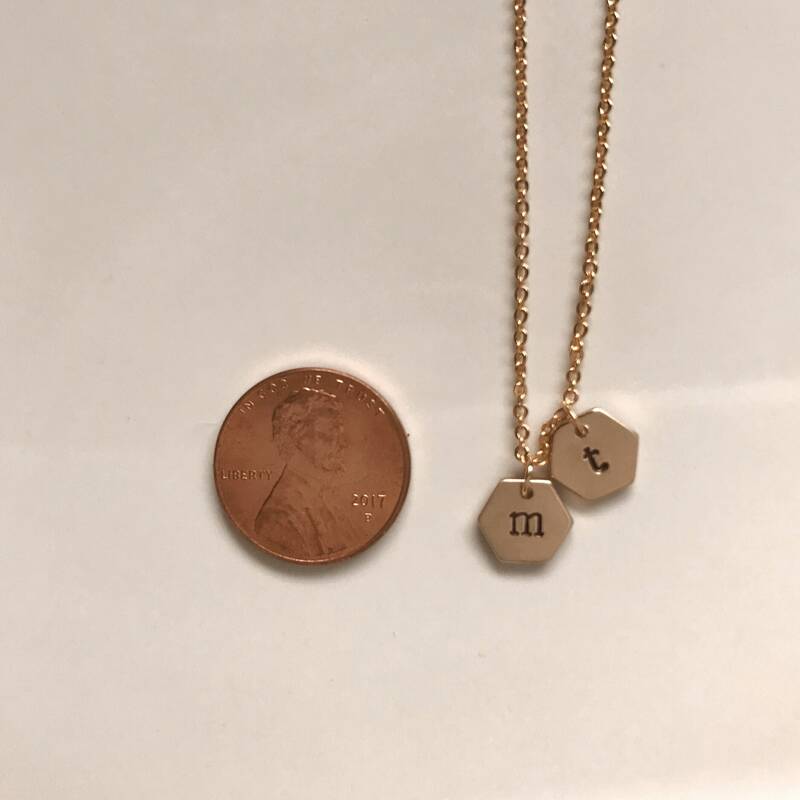 If you are ordering multiple items, let me know if you would like them in individual bags- if not, multiple necklaces will be packaged together. P r o d u c t i o n - Since all orders are handmade by me, the production time can vary. Please take a moment to check my current production time on the main page of my shop. 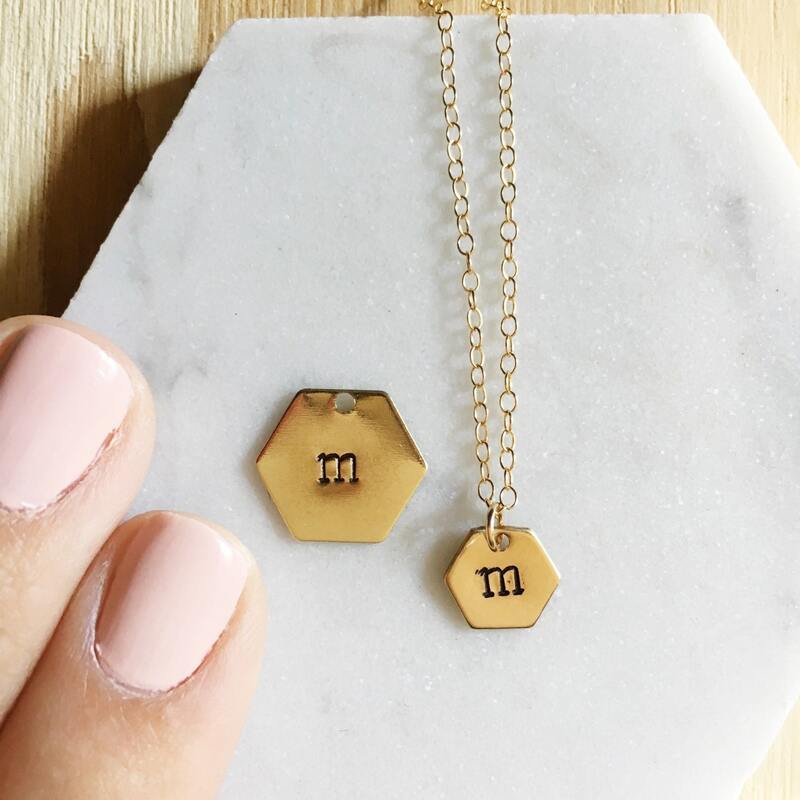 C u s t o m i z a t i o n - Choose your hexagon charm and chain length to customize your necklace. 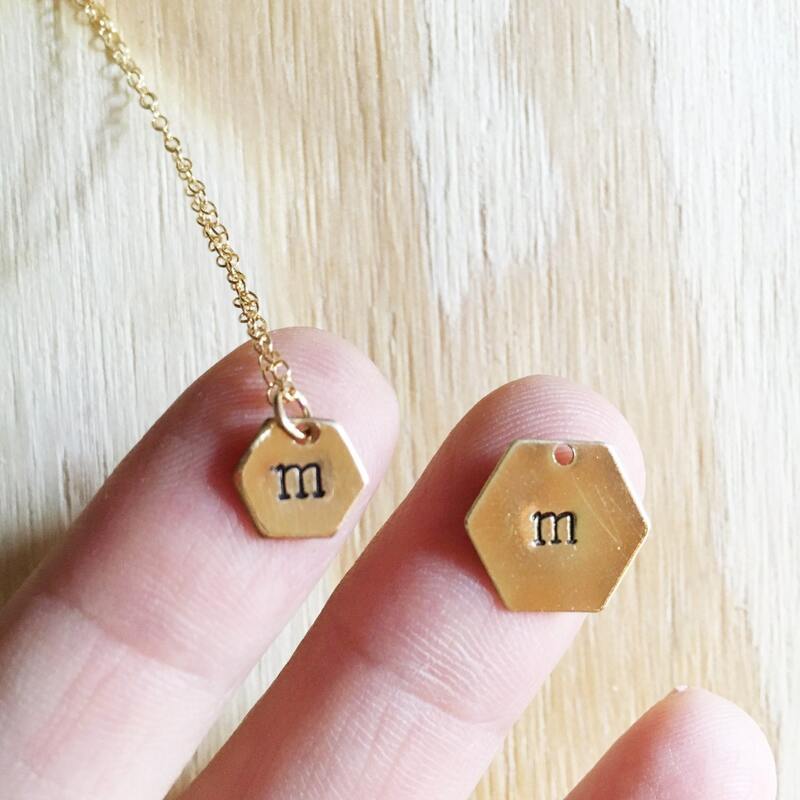 Charms offered: Blank Hexagon Charm or Hexagon Charm with Initial. FOR INITIAL CUSTOMIZATION, INCLUDE INITIAL INFO IN THE “NOTES TO GEOSUPPLYCO.” BOX. If no customization info is left, the necklace will be sent with a blank charm. 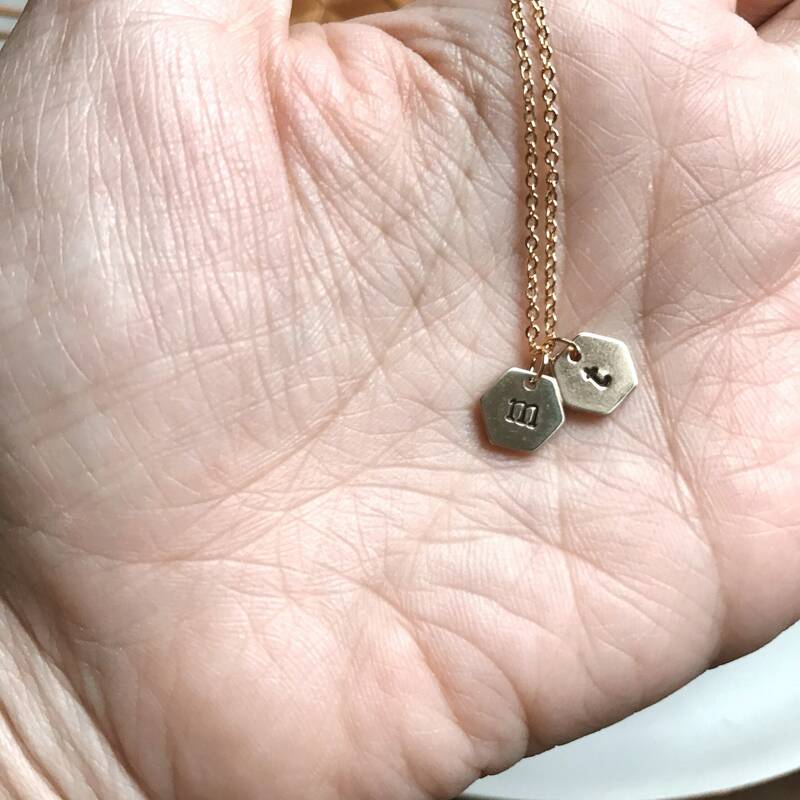 Charms can be stamped with capital letters A-Z, numbers 0-9, "&", and a heart. A maximum of ONE character can be stamped on each hexagon. 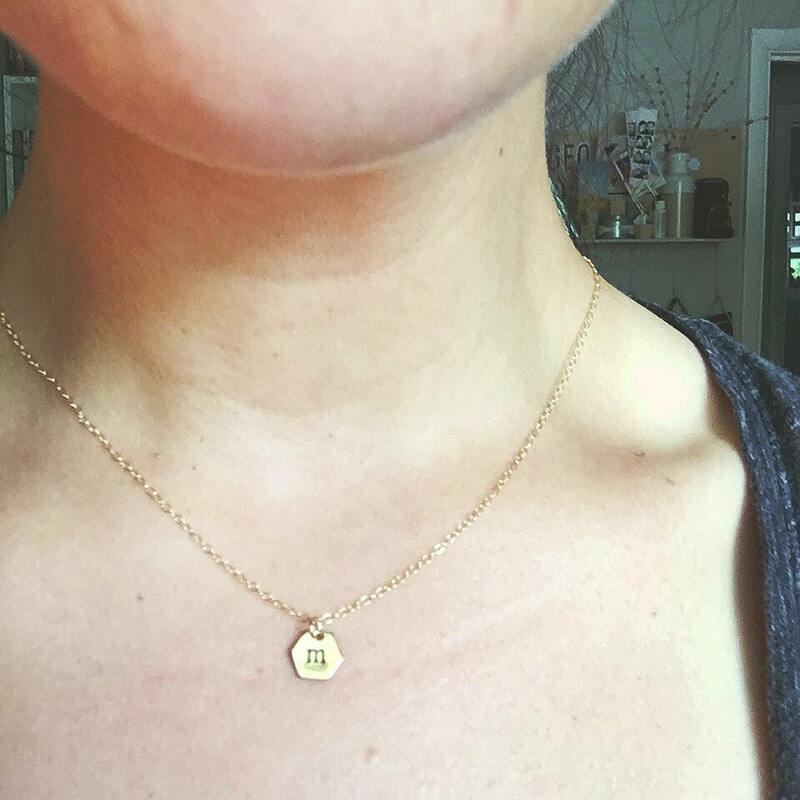 Please specify if you'd like a lowercase or uppercase initial!